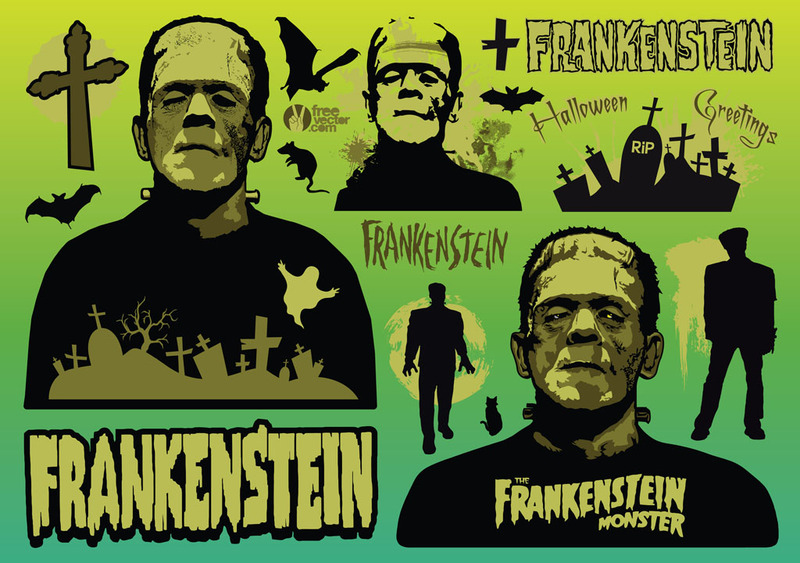 This is a really great comic style Frankenstein and Halloween themed collection. There's bats, rats, ghosts and of course Frankenstein himself. This collection will make putting together a Halloween design quick and easy. Tags: Creature, Creepy, Evil, Frankenstein, Halloween, Monster, Movie Monsters, Ugly, Villain.